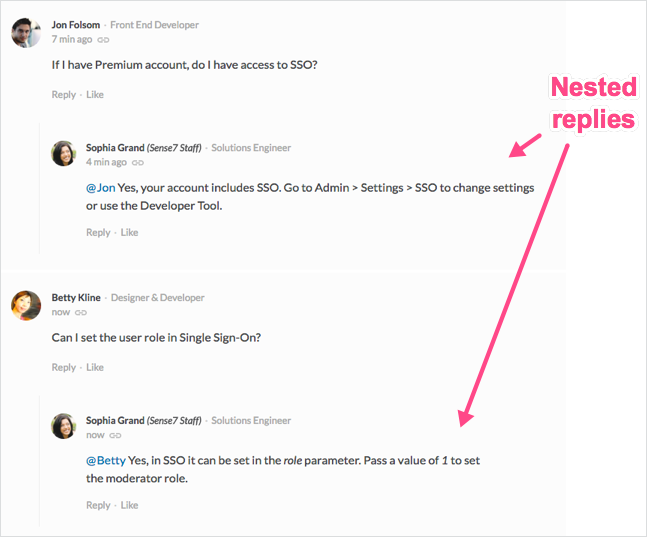 Replies have received a major upgrade in this release with support for nested replies. You can now reply directly to an individual post in a thread and your response will be shown nested (indented) under the post. This facilitates direct member interaction and makes it easier to follow the flow of the conversation.